One of the eight parts of speech, conjunctions are used as connectors between grammatically related words or phrases. There are two kinds of conjunctions, depending on whether that relationship is equal or unequal. Coordinating conjunctions connect two or more words or phrases that are grammatically equivalent: they are the same part of speech or type of clause, and they each serve the same function in the sentence. Il est jeune et beau. He’s young and handsome. Je vais prendre un café ou un thé. I’m going to have coffee or tea. Il est beau et jeune. He’s handsome and young. Je vais prendre un thé ou un café. I’m going to have tea or coffee. Subordinating conjunctions link two clauses that are not equivalent: one is a main clause, while the other is a dependent clause. Elle sait que tu l’as fait. She knows (that) you did it. Dis-moi quand tu es prêt. Tell me when you’re ready. If you try to change the order of the clauses connected by a subordinating conjunction, the meaning changes or even disappears. Tu l’as fait qu’elle sait. You did it that she knows. Tu es prêt quand dis-moi. You’re ready when tell me. 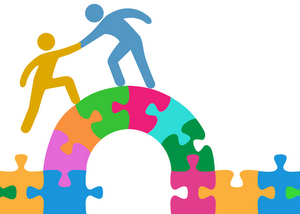 Conjunctive phrases are two or more words that together make a conjunction. 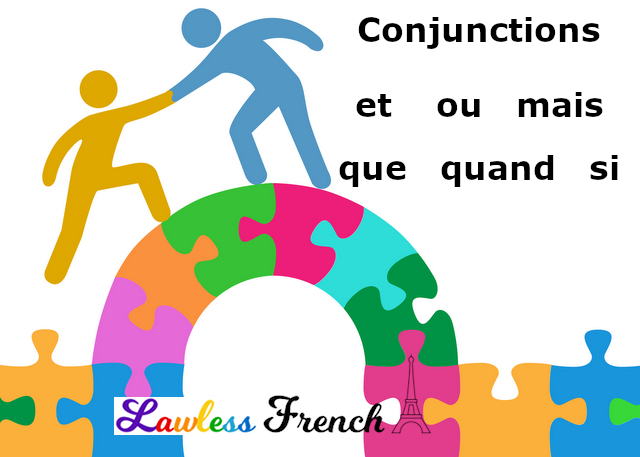 Click the links for lists of each type of French conjunction and lessons on how to use them.